[S45] Website FreeBMD (http://freebmd.rootsweb.com/) "Births Jun 1862 FARRIER Jesse Inet Wolverhampton 6b 414." [S45] Website FreeBMD (http://freebmd.rootsweb.com/) "Births Mar 1866 FARRIER Eleanor H Wolverhampton 6b 438." [S45] Website FreeBMD (http://freebmd.rootsweb.com/) "Births Dec 1871 Farrier Annie Lydia Wolverhampton 6b 458." [S45] Website FreeBMD (http://freebmd.rootsweb.com/) "Births Sep 1875 Farrier William George Wolverhampton 6b 519." [S37] Website Cheshire BMD (http://cheshirebmd.org.uk/) "BICKERTON Sarah Ellen LYON John 1890 North Rode, St Michael Cheshire East Cheshire NSM/1/91." [S1051] Website Lancashire BMD (http://lancashirebmd.org.uk/) "PAIN George W PEERS Annie E 1924 Liverpool, Register Office or Registrar Attended Liverpool Lancashire REG_LP/346/165." [S45] Website FreeBMD (http://freebmd.rootsweb.com/) "Births Jun 1902 PEERS Annie Elizabeth Toxteth Park 8b 168." [S2260] UK National Census for 1911 for UK, "RG14PN22261 RG78PN1316 RD454 SD3 ED10 SN90." [S45] Website FreeBMD (http://freebmd.rootsweb.com/) "Marriages Jun 1924 Peers Annie E Pain Liverpool 8b 373." [S45] Website FreeBMD (http://freebmd.rootsweb.com/) "Marriages Jun 1924 PAIN George W A Peers Liverpool 8b 373." [S45] Website FreeBMD (http://freebmd.rootsweb.com/) "Marriages Jun 1925 Simnett George E Urmston Warrington 8c 330." 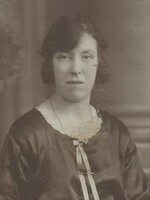 [S45] Website FreeBMD (http://freebmd.rootsweb.com/) "Marriages Jun 1925 Urmston Rachel Simnett Warrington 8c 330." [S704] UK National Census for 1901 for UK, "RG13/3504 f67 p21 158." [S45] Website FreeBMD (http://freebmd.rootsweb.com/) "Marriages Dec 1880 Forster George Frederick Chorlton 8c 1055." [S45] Website FreeBMD (http://freebmd.rootsweb.com/) "Marriages Dec 1880 Bridge Emma Chorlton 8c 1055." [S72] UK National Census for 1891 for UK, "RG12/3002 f90 p25 143." [S2269] Patricia Evans, Tree, 2009 "unknown cd." [S1051] Website Lancashire BMD (http://lancashirebmd.org.uk/) "FORSTER Bertha DAVIES Alfred J 1907 Wavertree, St. Bridget Liverpool Lancashire 2050WD/2/317." [S601] UK National Census for 1881 for UK, "RG11/3492 f110 p19 108." [S72] UK National Census for 1891 for UK, "RG12/2813 f85 p11 77." [S37] Website Cheshire BMD (http://cheshirebmd.org.uk/) "GOODWIN Ralph SUMNER Sarah Ann 1871 Sutton, St James Cheshire East Cheshire SJS/1/161." [S37] Website Cheshire BMD (http://cheshirebmd.org.uk/) "GOODWIN Gertrude BROCKLEHURST Fred 1910 Macclesfield, St Peter Cheshire East Cheshire MST/3/322." [S1051] Website Lancashire BMD (http://lancashirebmd.org.uk/) "DAVIES Elizabeth ROBERTS George 1923 West Derby, Register Office or Registrar Attended Liverpool Lancashire REG_WD/412/59."